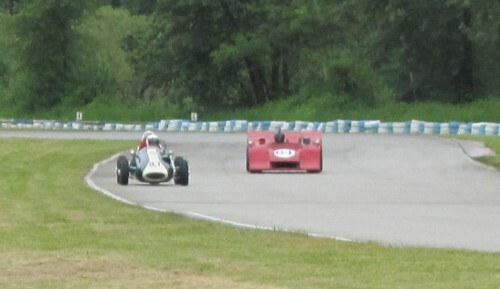 Bill drove the 1959 Sadler Formula Junior (seen above) for the first time in about 50 years during a lunch time, on-track demonstration with Merrill Faulk in the thundering Burnett Mk 2 Can Am car. (Bill was good enough to let Merrill go by, so he could lead a few laps as well!) This Sadler Formula Junior (known as “Aunt Marge”) has a long history with VRCBC members. 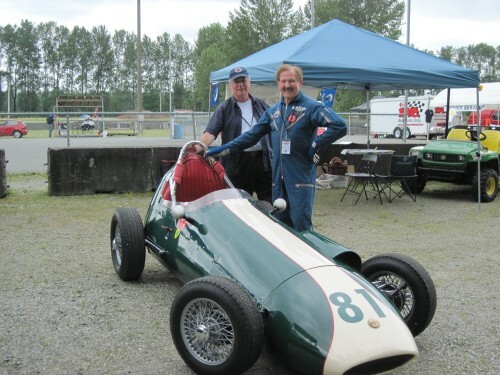 It was owned, initially restored and raced by long-time member Bob Smith. It is now owned by member Myles Winbigler, who has just completed another restoration and continues to race it. 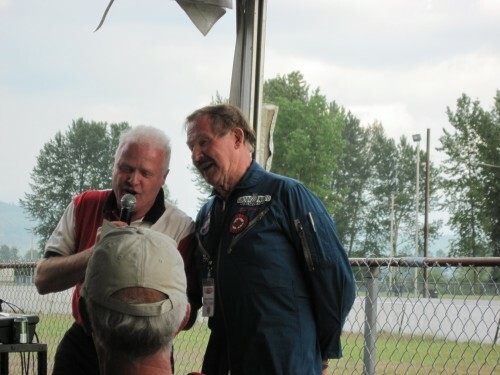 In addition to meeting many of the those attending the event, Bill was an active participant in the traditional Saturday night barbecue entertainment. Thanks for coming Bill; we very much enjoyed having you as our special guest.